Rarely will you find me somewhere other than the kitchen on a Friday morning. But there was one last spring that found me in a taxi on my way to town. I was sitting in the back seat by the window tensely gripping my phone while I was thinking of all the things I still needed to get done at home. The driver had some baked goods tucked away somewhere I couldn't see. Something of the sweet challah sort was my guess. Or it could have been a babka, definitely not the cinnamon kind is all I was sure of. Regardless, the smell was so strong it must have been fresh out of the oven, and the aura permeated the air and assaulted my nostrils. I wanted to reach over and help myself to a bite but that would have been crude, and out of character. Instead, I contemplated asking for a slice which would be tactful as an Israeli because of the sense of fraternité, but instead I restrained myself and fumbled with my phone. How Gen Y of me. After I paid my fare, I needed to relieve myself of the curiosity so I asked the driver what the smell was. It was fresh Challah. Challah is soul food. Everyone has their own opinion on what constitutes the perfect loaf. I prefer mine savory to sweet, fluffy and springy and sometimes flavored. I get the best results from white flour, but I salute those who attempt a whole wheat one. It hasn’t worked for me. In reality, I have strict orders around here not to stray from this formula so I don’t experiment much but I do believe, after almost a decade of challah making, that this is my favorite one anyway. Maybe yours too. What I believe more is that even if we all made the exact recipe, each of our challah will taste different. 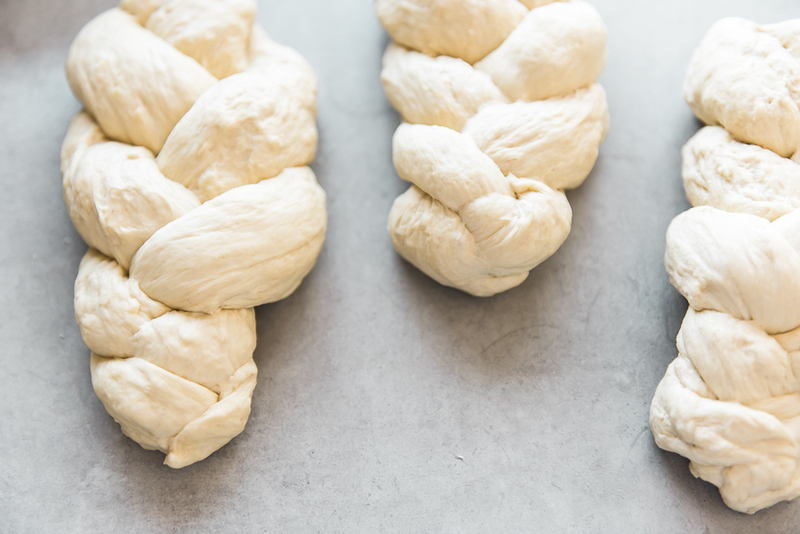 Because challah has an indescribable mystique and takes on the baker’s energy. That’s what makes it soul food. Proof the yeast by combining the water and yeast in a medium bowl. Let it rest for 10 minutes or until it shows signs of being active and bubbly. In a large bowl, mix the egg, oil, and sugar. In another bowl, stir the flour and salt. Combine the proofed yeast with the oil mixture. 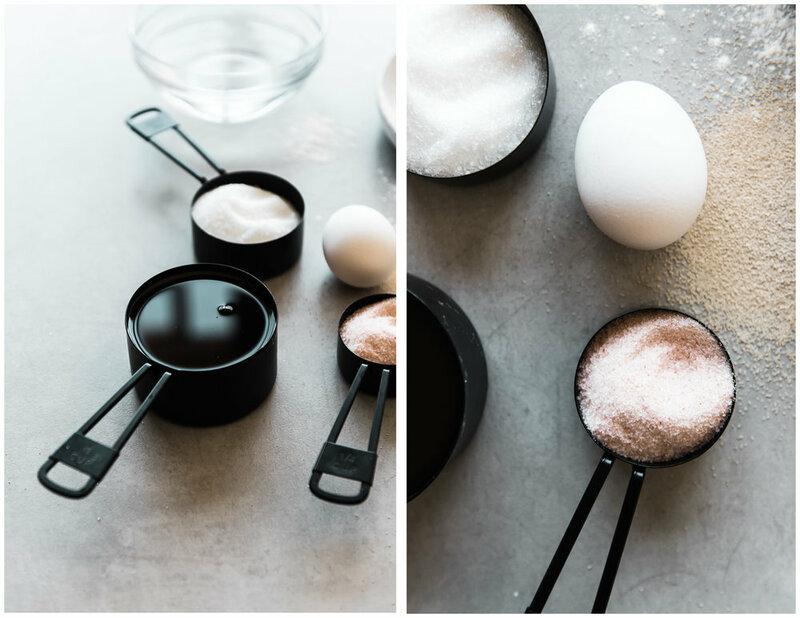 Gradually add the flour while mixing with a spoon, save for a cupful. 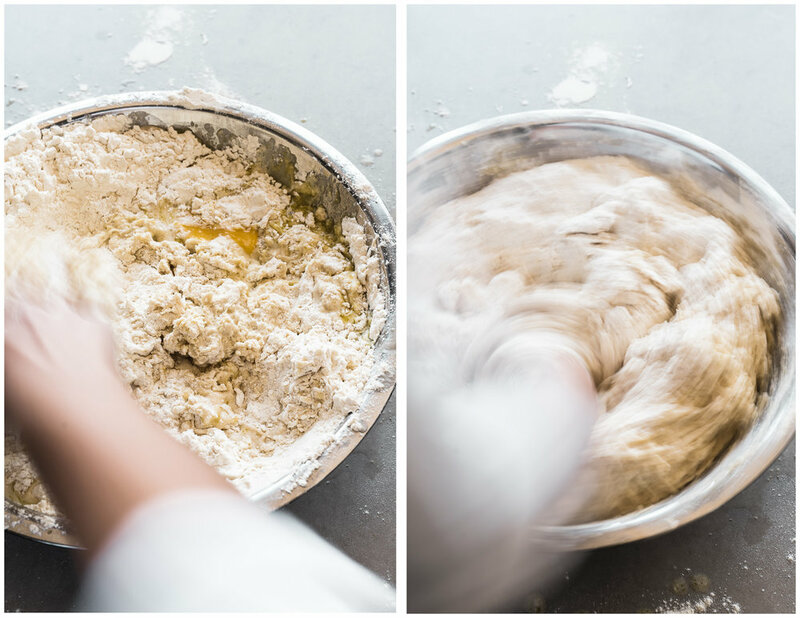 Once it gets too difficult to stir with a utensil, use your hands to knead until a smooth dough forms. 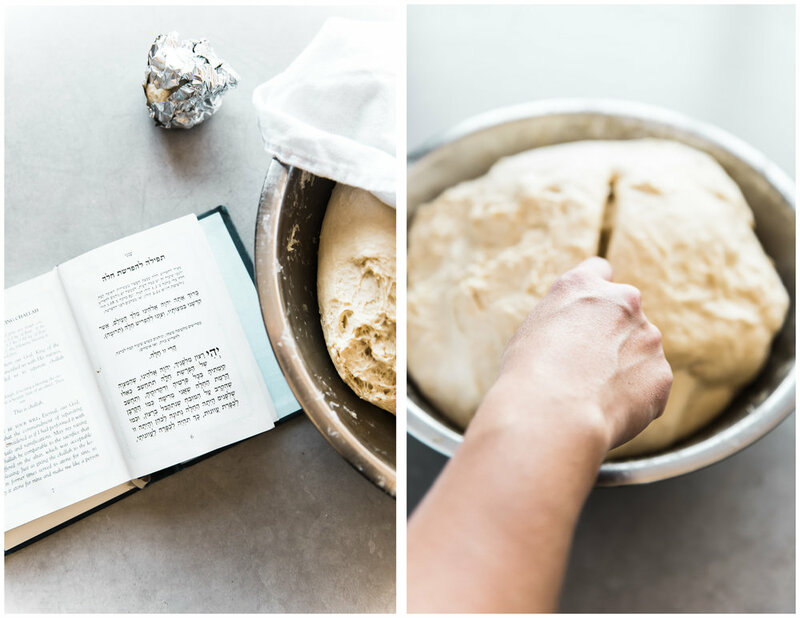 If the dough is raggedy, add a splash of water. If the dough is too sticky, add the reserved flour. 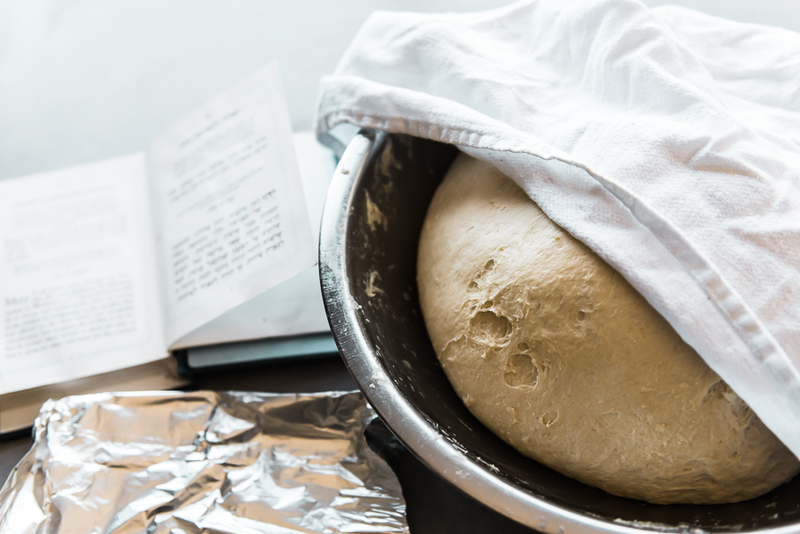 You’re aiming for a dough that’s comfortable to work with, but not too dry. Transfer to a clean bowl, brush the top with oil and cover with plastic wrap. Allow to rest for 1.5 hours, or until more than doubled in size. Punch the dough down and fold it over itself 2 or 3 times to form a tight ball. 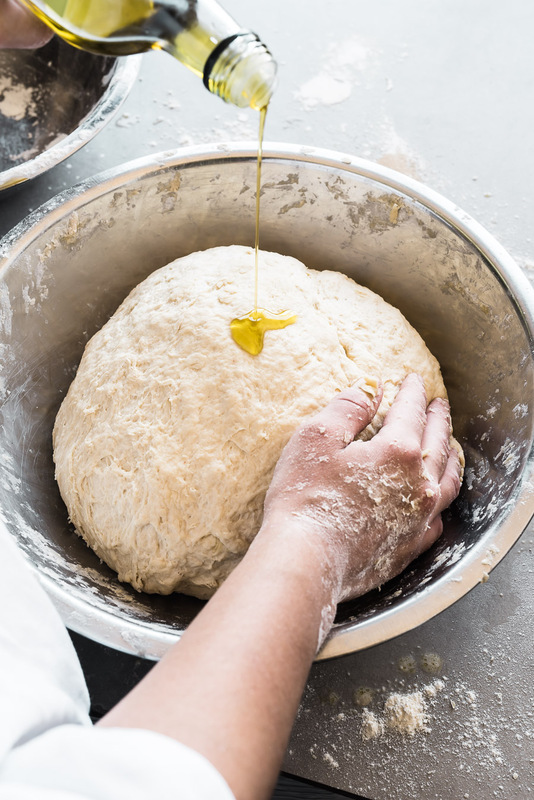 The longer you knead it, the more gluten develops, the better the result. Make the blessing over separating the challah. Prepare two parchment-lined baking trays. On a clean surface, shape the dough to your preference. I usually do a 3 strand braid. Place on baking tray and let rest for an additional 30-45 minutes. 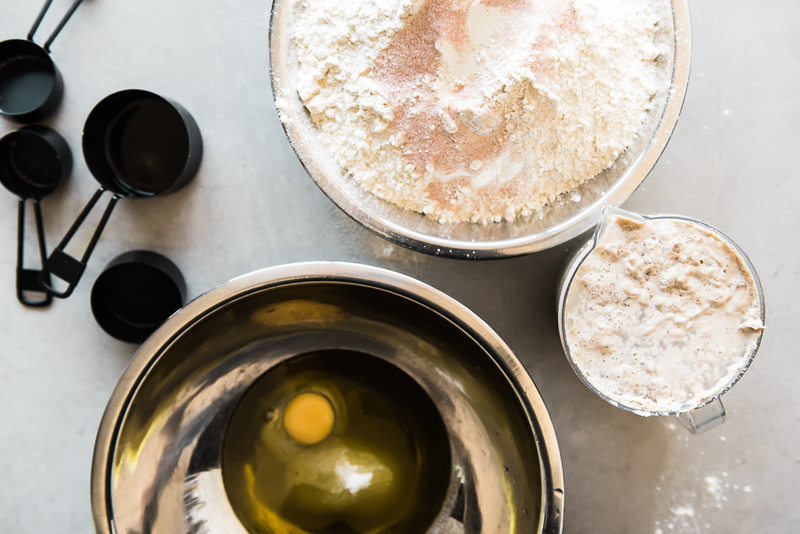 Carefully brush each challah with the beaten egg and sprinkle a generous amount of your favorite topping. Heat your oven to 425F. Place one tray at a time in the middle row and bake for 10 minutes. Reduce the heat to 350F and bake for an additional 20 minutes, or until you reach your desired doneness. Remove from the oven and repeat with the second baking tray. 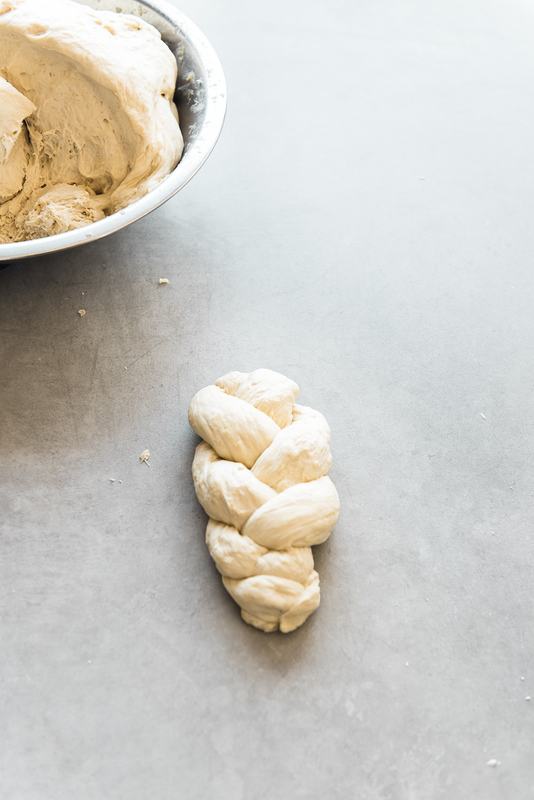 Allow the challah to cool completely before transferring to a plastic bag. To freeze the challah, tightly wrap in many layers of plastic wrap and place in the freezer for up to 6 months. Place 1 heaping tablespoon in a small bowl. 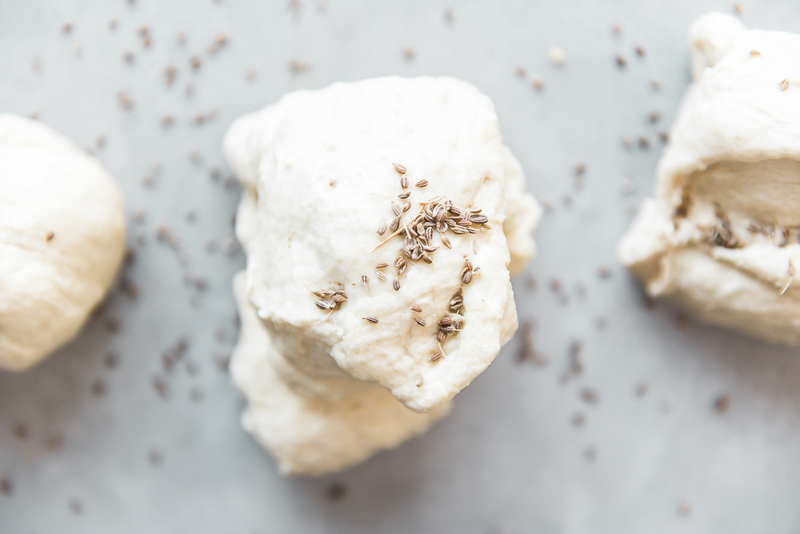 Take a small ball of dough, dip into the spice and knead well into the dough. The more spice you use, the more assertive the flavor. 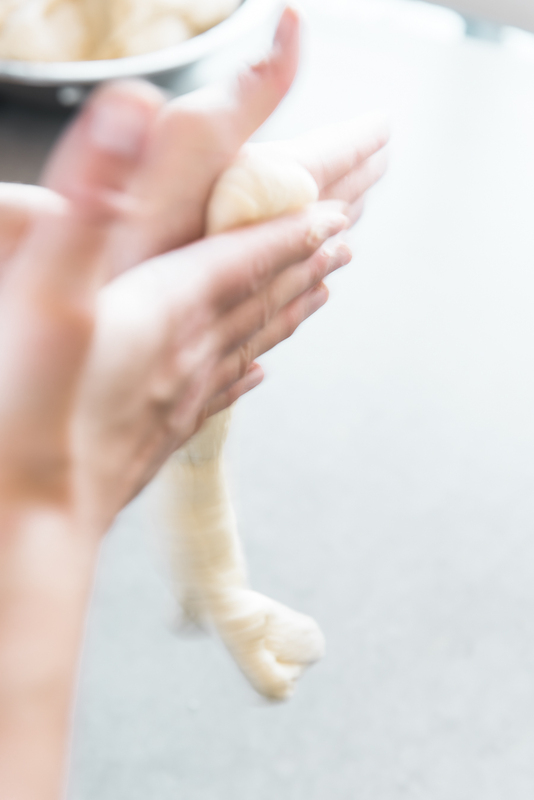 Once you’ve done this with three balls, roll them out and braid. Repeat with the same spice or try a different one. Mix 2 tablespoons sunflower seeds with 1 tablespoon flaxseeds and 1 tablespoon sesame seeds. Take a large ball of dough, dip into the spice and knead well into the dough. Once you’ve done this with three balls, roll them out and braid. After you’ve brushed on your egg wash, sprinkle a little more over the challah. Place 1 tablespoon chili flakes in a small bowl. 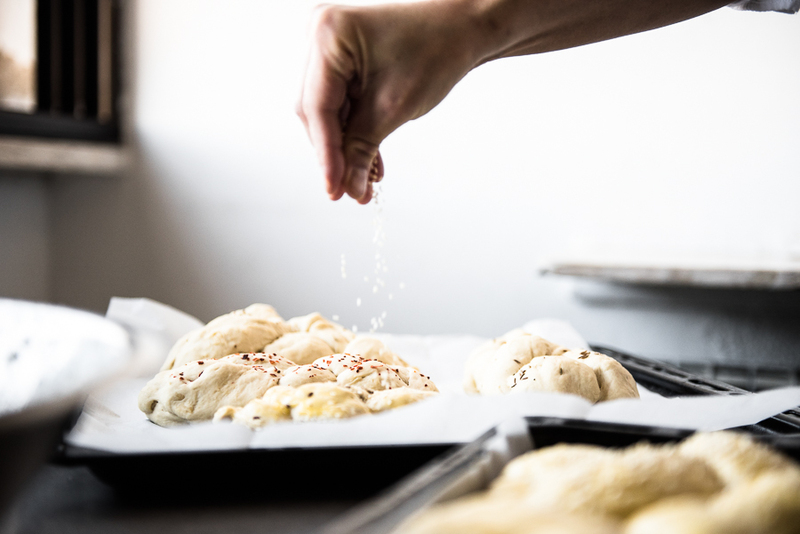 Take a small ball of dough, dip into the spice and knead well into the dough. The more flavor you want, the more spice you should use. Once you’ve done this with three balls, roll them out and braid. After you’ve brushed on your egg wash, sprinkle a little coarse salt over the challah.